If you speak Spanish, you’re used to the language. If you like moderate, comfortable temperatures years round, you’re going to love the Dominican Republic. While you may be pleased with the climate and familiar with some cultural traditions and local norms, it’s always best to study up on a new location before you visit so you have a working knowledge of the area you’ll be eating, sleeping and living in. Cuisine - The Dominican Republic is known for its varied and flavorful food. 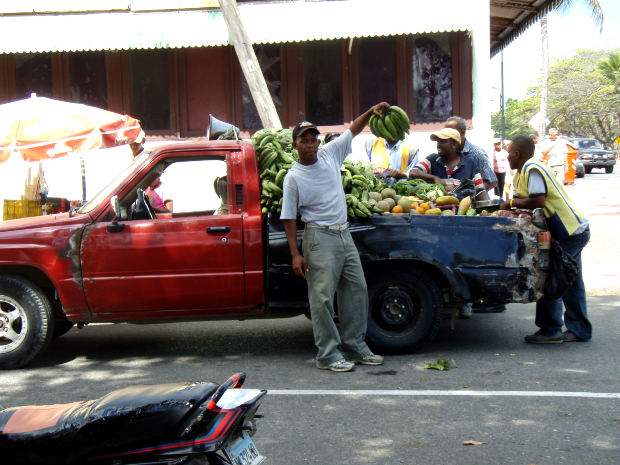 The local cuisine is predominantly made up of Spanish, indigenous Taino and African influences. Be wary of buying food or juice from street vendors and never drink the tap water. When looking for a place to stay or eat, look for hotels and restaurants that have earned a H for food-service hygiene, or someplace that has a Crystal America certification. Electricity - The same as in the United States and Canada, the Dominican Republic uses 110-120 volt electrical plugs. Safety First – While violent crime is rarely a concern, there is plenty of poverty in the country and pickpocketing is an increasing concern. Pay careful attention to your surrounds at all times, especially when leaving a bank or casino, and take hotel-recommended taxis at night. Tips for Tipping - In the Dominican Republic hotels and restaurants a 10% service change is automatically added to your bills. In restaurants, it’s still typically expected you tip an additional 5 to 10% for quality service. It’s also normal to tips maids ($2), taxi drivers (10%) and hotel porters ($1/bag). Traveling - Private buses are the cheapest way to get around the country. It’s recommended first time Dominican Republic travelers stay away from renting their own car as driving in the country can be expensive and often is a stressful experience. No matter where you are at, taxis are generally available and a good option. Drivers rarely have change so be sure you carry small bills, and your hotel can always call a cab for you if one isn’t around. Plan Ahead - To find flights, shuttle services and tours for your Dominican Republic vacation, check out Dominican Quest today. Browse our website for more information and ideas and give us a call today to tell us about your travel plans: we can customize a schedule and vacation you can afford and will love. Dominican Quest Copyright © 2019.